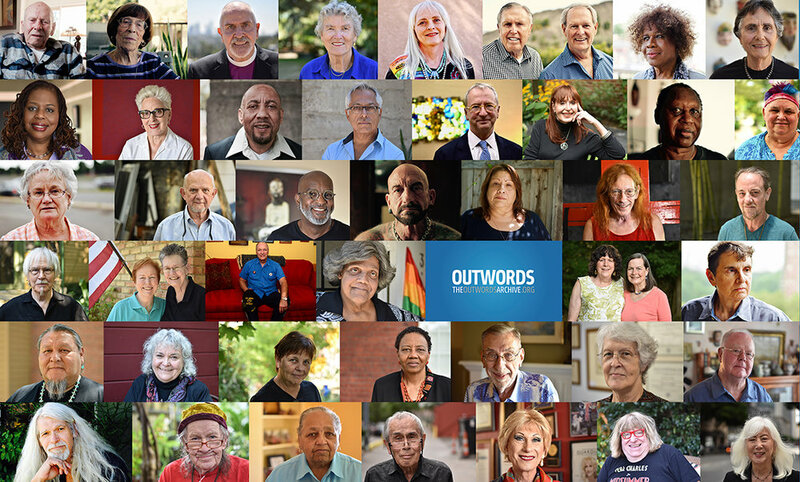 OUTWORDS is dedicated to preserving the LGBTQ community’s remarkable history, by traveling the country recording professional quality, on-camera interviews with the people who witnessed our history and made it happen. In this era of fake news, it’s more important than ever to create a full, accurate record of our actions and accomplishments; otherwise, they risk being denied and erased. OUTWORDS is the only national effort tackling this urgent need. The cost of each OUTWORDS interview, from research, equipment, crew, and travel to transcription, storage, and distribution, is $1300. Please contribute as generously as you can — and thank you in advance for being part of OUTWORDS. OUTWORDS is incorporated in California as a 501c3 non-profit entity. Your contribution to OUTWORDS is tax deductible to the full extent permitted by law.